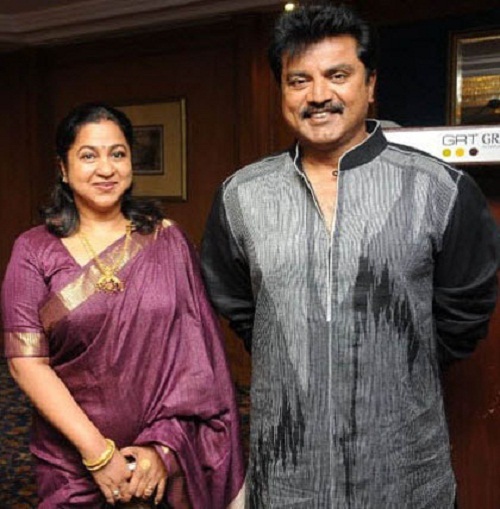 Supreme Star R. Sarathkumar was born on 14th July 1954 in New Delhi. He attended Raja Muthiah High School, Central School, St. Patrick’s Anglo Indian Higher Secondary School, Loyola College, and The New College. During his college days he played cricket, football, and hockey in inter college competitions. He developed interest for body building and won the title of “Mr. Madras” in 1974. He started his career as a reporter working for Dinakaran News Daily. With an ambition to run his own business he started a travel agency. Sarathkumar entered films with Telugu movie Samajamlo Sthree in 1986. His first blockbuster hit was Pulan Visaranai co-starring Vijayakanth and Rupini in 1990, the movie turned out to be a turning point of his life and he earned Cinema Express Award for Best Villain. His subsequently appeared in commercial hits like Velai Kidaichuduchu co-starring Sathyaraj and Gouthami, Puriyaadha Pudhir co-starring Rahman and Raghuvaran, Captain Prabhakaran co-starring Vijayakanth, Livingston and Ramya Krishnan, Cheran Pandiyan co-starring Vijayakumar and Nagesh, Gang Leader co-starring Chiranjeevi, Vijayashanti and Rao Gopal Rao, Suriyan co-starring Roja and Goundamani, Thai Mozhi, Indhu, etc. Due to his work experience in Tamil, Telugu, Malayalam,Hindi and Kannada films he is fluent in all languages. At the beginning of his career he joined AIADMK party led by Jayalalithaa. But later in 1996 he supported DMK led by Karunanidhi. In 1998 he contested election from Tirunelveli constituency but was defeated by Kadambur R. Janarthanan, AIADMK candidate. Again in 2006 he joined AIADMK party with his wife Raadhika, but in the same year he quit the party. He established his own party named All India Samathuva Makkal Katchi in 2007 and merged it with AIADMK party during 2011 Assembly elections, his party won two seats in the election. He was born to Ramanathan, who served All India Radio and Pushpaleela, house wife. His mother passed away in 2013. He had an elder brother named Sudarshan Ramanathan. He had an elder sister named Mallika Kandaswamy. 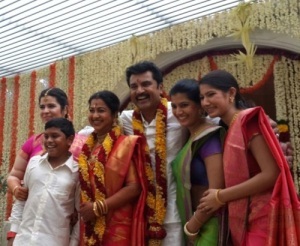 Sarathkumar married Chaya in 1984 and gave birth to two daughters named Varalaxmi and Pooja. But the couple broke up in 2000. 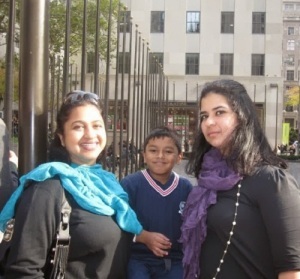 He married his co-star Raadhika in 2001 and they gave birth to a son named Rahul in 2004. Sarathkumar has a stepdaughter named Rayanne Hardy born to his wife out of her first marriage.